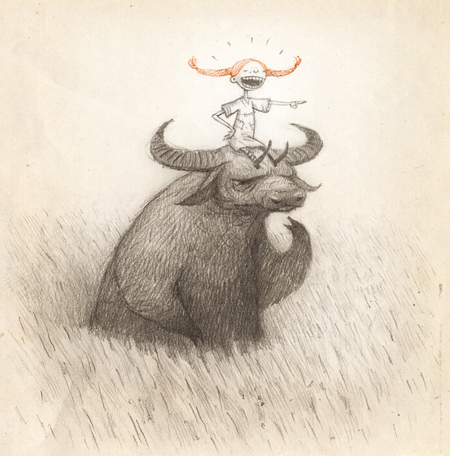 Shaun Tan has donated his illustration of Pippi Longstocking and his water buffalo to the Nationalmuseum. The illustration was made specially for his award lecture The House of Culture in Stockholm. The illustration is now part of the museum’s collection and may be exhibitied to the general public and will be preserved for future generations. 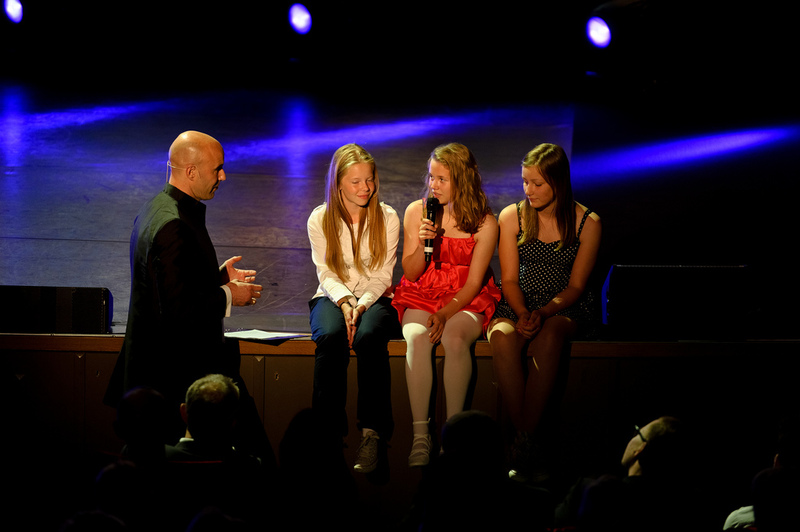 The award lecture has also been published in newspapers I Sweden and Norway and will be published in Holland. How does an award-winning children’s book illustrator answer questions? With drawings, of course. Shaun Tan has given a completely wordless interview to the German newspaper DER SPIEGEL. 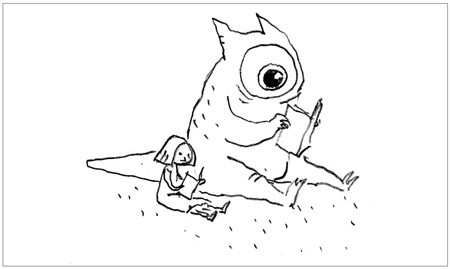 Using pen and paper Shaun Tan answers questions about loneliness, inspiration and love. Read the full SPIEGEL interview conducted by Daniel Sander and Maren Keller. After the Award week Shaun Tan did a bit of a tour around Europe before going back to Australia. He went from Stockholm to Hamburg and gave a talk with Andreas Platthaus (Frankfurter Allgemeinen Zeitung) following a screening of ‘The Lost Thing’. It was a good event according to Shaun Tan, “with an enthusiastic audience” and a “long signing afterwards! “. Shaun Tan also got the chance to visit Carlsen Verlag, his German publisher, and its editor Klaus Humann who showed him around Hamburg. “It’s interesting that the E.coli problem was in the news right then, just as ash clouds and royal scandals coincided with other parts of my trip! It’s as though European news was following me around”, he says. Shaun Tan then went on to Saarbrücken where part of his visit was dedicated to a workshop for design students. The students were building an installation based around The Arrival, which is probably being completed about now. You can find more information on the visit in Saarbrücken here: http://www.meinsol.de/blog/show.phtml?cbID=35558. Last night Shaun Tan received the Astrid Lindgren Memorial Award, the world’s largest children’s literature award. 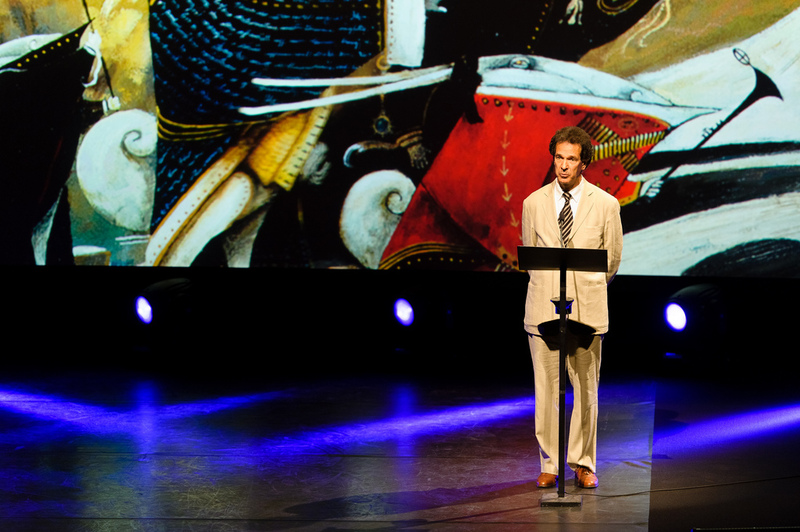 Our host was the inimitable Mark Levengood who shared personal reflections on Astrid Lindgren and Shaun Tan. 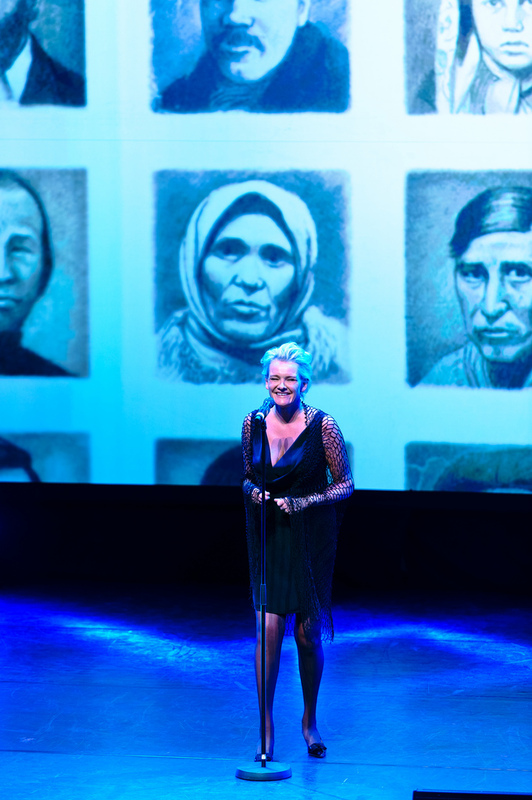 Acclaimed musicians in the Goran Kajfes Subtropic Arkestra stood for the music, supported by singers Eva Dahlgren and Magnus Carlson. An audience favorite was the dance group Soul Sweat who interpreted an illustration from Shaun Tan’s book The Arrival. 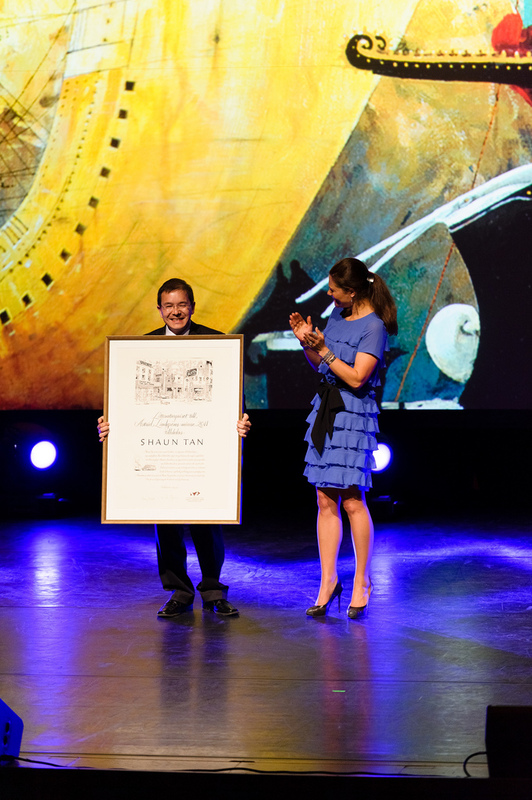 The award was presented by H.R.H Crown Princess Victoria and Shaun Tan held an inspiring acceptance speach. The finale of the evening was the screening of Shaun Tan’s animated short film: The Lost Thing. Below are some images which give a little impression of this festive night!